May 7, 2018 by admin	in Quiz Templates. 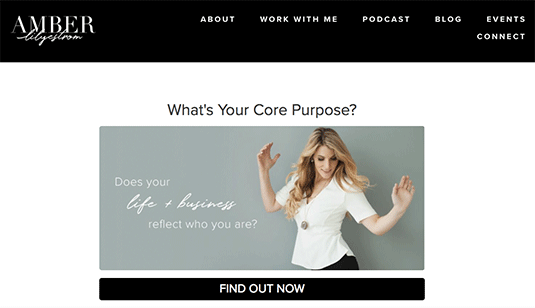 Quiz Title: What’s Your Core Purpose? That means for every $1 you invest in sending out emails to subscribers you’ll get $44 back, but that only works if you have people on your list to market to in the first place. Enter interact, with a quiz you can ask people to enter an email address in order to see their results, and this method boasts an average conversion rate of 50%, meaning that half of your quiz takers will opt-in. 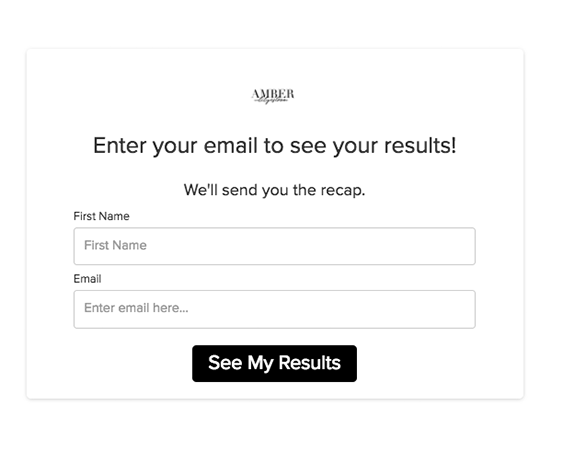 This is a lot higher than most other methods for capturing email addresses, and that’s exactly what Amber found with her quiz, which is pictured below. Once you begin taking the quiz it asks you personal questions all addressed to “you” so you know it’s about you and you only. I highly recommend taking Amber’s Quiz so you can get a full idea of the experience, it’s really a masterful setup and all created using the interact software. This type of quiz really takes the sales conversation and makes it feel so natural that you forget it’s even happening. Quiz Title: Is Your Idea Profitable? Use Case: Lewis Howes is an author, podcaster, and influencer. He consistently comes out with new material, courses, and books. For Lewis, a customer may follow him for years before making a first purchase, and one of the most important things in his business is keeping in touch with people who follow his work and life. While social media is great for this, the social networks are also very restrictive with who is seeing Lewis’ posts. That makes his email list one of the most important assets for making sales in the long-term, and that’s where interact comes in. 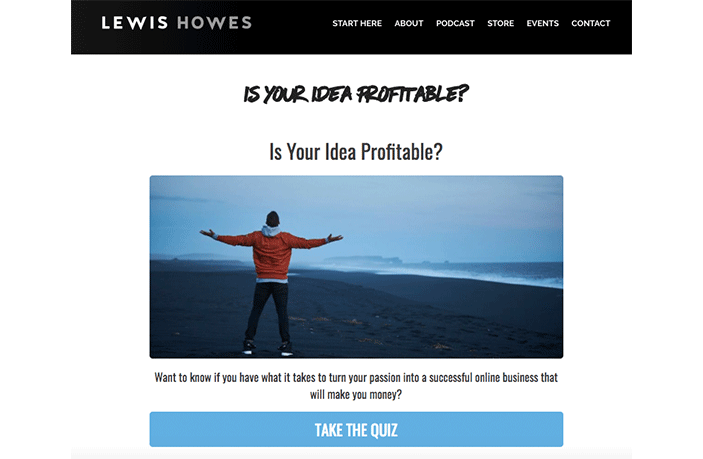 Lewis has a quiz called “Is Your Idea Profitable?” located at lewishowes.com/quiz and when you take the quiz the idea is to find out if you are able to make the leap and become your own boss. The audience for Lewis is mostly made up of entrepreneurs and people who are working 9-5′s but want to make the leap over to being self-employed. The quiz is a perfect fit because it answers the exact question most people in this scenario have which is “Can I make enough money from it to quit my job?” This alignment has led to the quiz have a very high conversion rate and bringing in 10′s of thousands of leads to date and it’s still going strong. Fun Fact: Lewis went from sleeping on his sisters’ couch to appearing on Ellen, he’s truly inspirational and we’re proud to partner with him. Here’s a screenshot of him on Ellen, you can see the whole clip here. Also, he fully backs interact, here’s a video of his endorsement. Quiz Title: What’s The Best Social Network For Your Event? Use Case: One of the most frequently asked questions at interact is how you can use quizzes in a B2B use-case. (So much so in fact that I wrote a whole blog post about it, click here for that). The secret, which Eventbrite and others have figured out, is that you have to think of your B2B buyer as a person instead of a business. After all, one person is probably going to pull the trigger on purchasing your B2B product, so why not target them with your quiz? Use Case: I included this example because it has a different flow. Firmex is a B2B software company that targets the investment world and has a very high price point. They also have a blog called “The Deal Room” where they post investment-related content to attract the audience they want. On that blog they run trivia quizzes for the investment world and use those trivia quizzes to build up a an email list that’s blog-specific. This list will then receive other blog posts from The Deal Room and occasionally offers to learn more about the product that Firmex offers. It’s a very top of funnel strategy that is super effective for reaching wall street types who are usually impervious to any sort of marketing targeted at them. 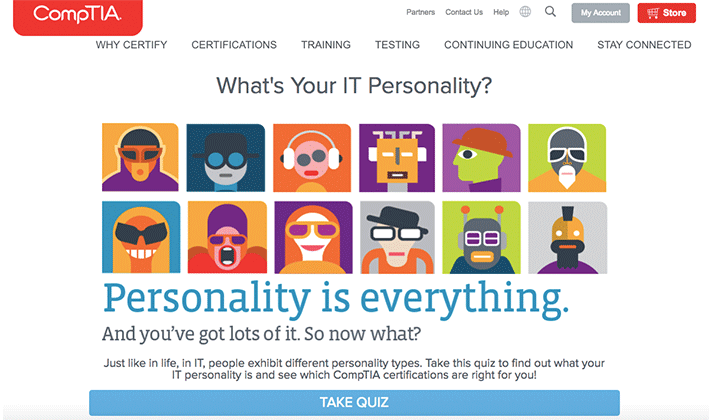 Quiz Title: What’s Your IT Personality? Use Case: How do you reach people in IT who are historically hateful of marketing? Make a quiz for them to discover their IT personality. Sure, people who work in IT are more engineering-minded and think analytically about things, but they are still human and want to know more about themselves. This quiz from CompTIA is perhaps the most adaptable B2B quiz use case because it can be applied to so many different types of businesses, really anyone who sells into technology companies. Quiz Title: What’s Your Makeup Brand Spirit Animal? Use Case: There are so many makeup brands to choose from, and Birchbox has a lot of them to offer on their site. This quiz helps you find your perfect Makeup brand match and then links to that brand’s offerings on the site. What Birchbox is doing is offering personalized product recommendations, and personalized recommendations convert 4x higher than generic products. 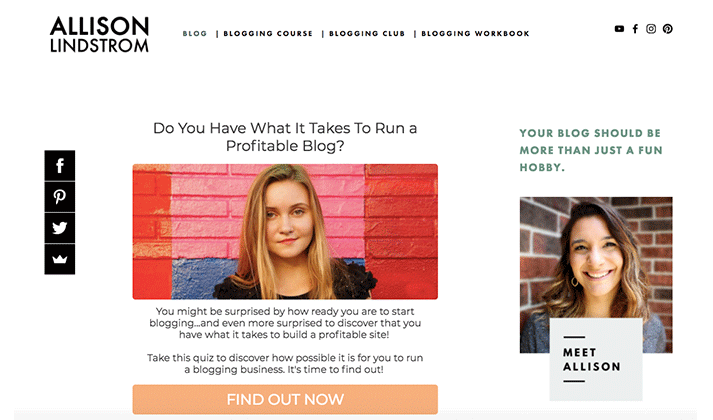 Quiz Title: Do You Have What It Takes To Run A Profitable Blog? Use Case: If you are targeting new bloggers, one of the biggest questions people will ask is “Can I Do It?” and a quiz is the perfect way to answer that question. 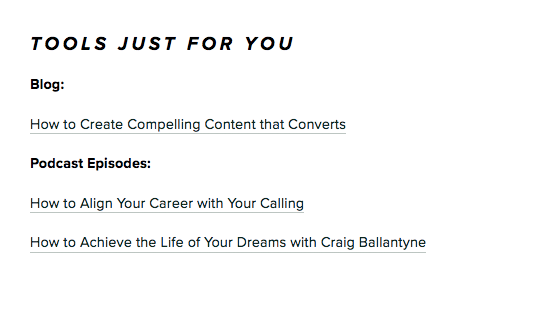 Allison Lindstrom has a blogging course for beginners, and she uses this quiz to get people into that course by asking for an opt-in at the end of it. The quiz lives on her site and she drives traffic to it through Facebook and organic traffic. Quiz Title: What Kind of Blog Should I Start? Use Case: Create & Go has courses for all sorts of blogs, but no one is interested in a course on starting a travel blog if they are really only interested in cooking. That’s where the quiz comes in and capture people’s attention, gathers email addresses, and segments Create & Go’s email list in addition to letting them recommend the right course on the spot. 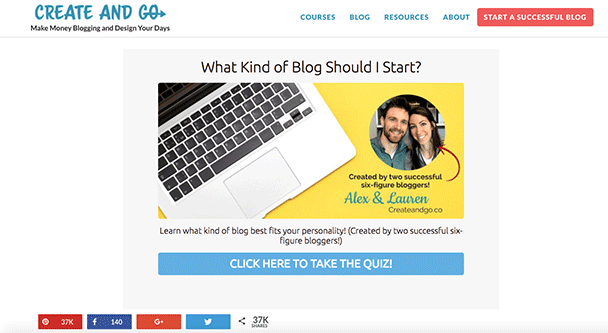 Quiz Title: What Kind of Blogger Are You? Use Case: Anyone who writes is curious about what others think of their work. Bloggers are always interested if you can give them feedback, which is exactly why this quiz has gotten so popular. 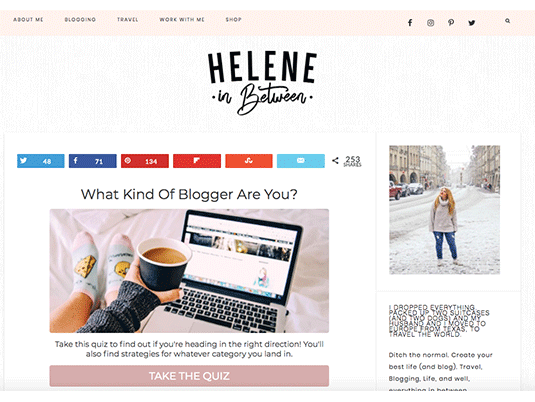 We’ve seen 100′s of variations of this “What Kind Of Blogger Are You?” quiz, and we even have a template for it inside of interact. 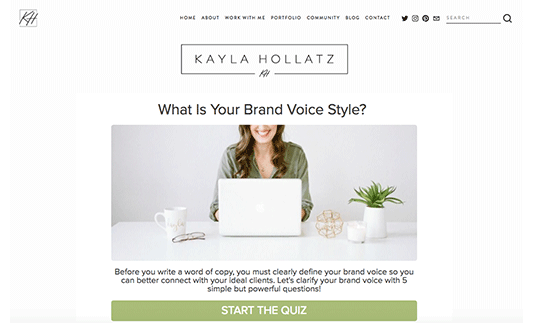 Quiz Title: What’s Your Brand Voice Style? 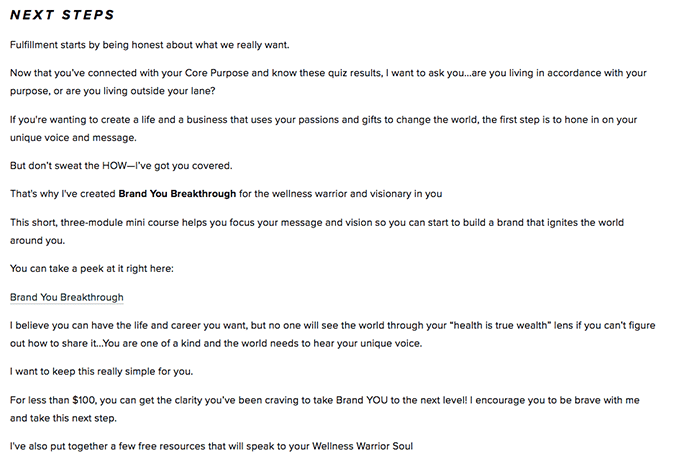 Use Case: Kayla Hollatz is a business and branding coach who has absolutely nailed the quiz lead generation strategy. So much so that there’s an entire case study about her. The way she utilizes is a quiz is genius and I highly recommend you try something similar. She targets businesses by asking them what their brand voice style is, which is something every business thinks about a lot. From there she leads businesses into one of her training courses which help you utilize your unique style to grow your company, so genius. Quiz Title: What’s The Missing Piece in Your Business? Use Case: There’s no one-size-fits-all blueprint to building a successful business online, so it’s key to meet your audience where they’re at. 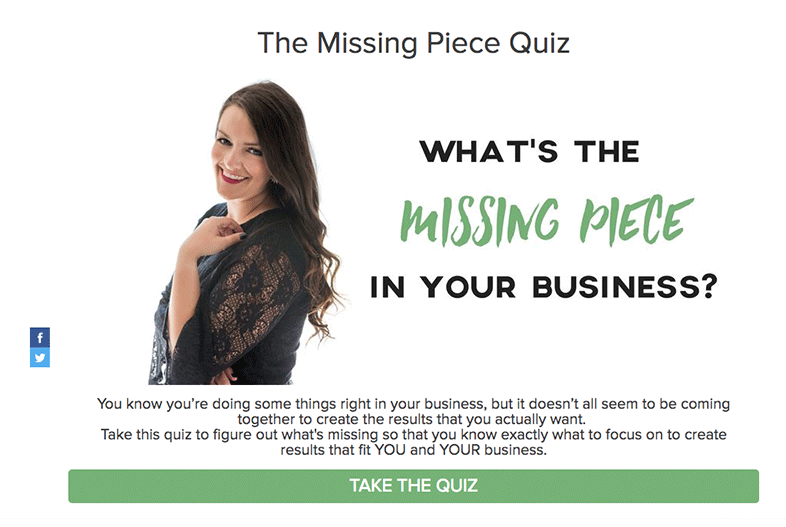 Business Mentor & Success Coach Lacey Sites of A Lit Up Life created this quiz on “What’s the Missing Piece in Your Business?” to help her audience pinpoint their biggest struggle so they know where to focus their energy to get the best results. Creating a quiz to identify where your audience needs the most help is a genius way to identify what content or offers to send them, based on their top pain point. Quiz Title: What’s Your Brand Personality? 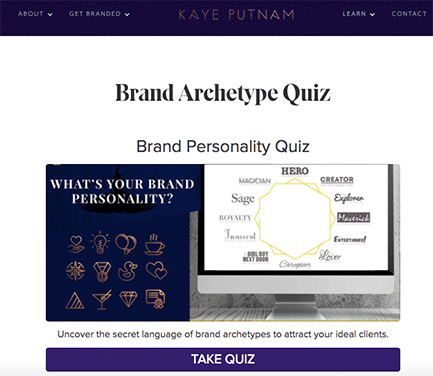 Use Case: Kaye Putnam features a quiz prominently on her website and it’s a top of the funnel lead magnet that fuels a marketing automation sequence set up to nurture people based on which brand personality they get. She’s a business and branding consultant who has personalized offerings for companies based on what kind of distinct brand they are. This quiz is embedded on her site and fueled by social as well as prominent navigation links. 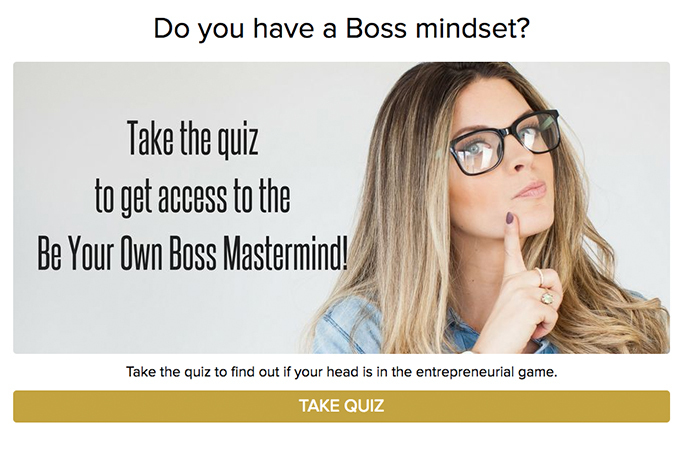 Quiz Title: Do You Have A Boss Mindset? Use Case: Sunny is a video marketing coach who helps businesses master video as a way to get customers. She’s got a variety of very well done courses that have strong conversion rates when people are on her list. Quizzes like this one are used as lead magnets on Facebook as a way to acquire new subscribers and then the nurture sequence and value proposition of her courses do the rest of the work to make sales. 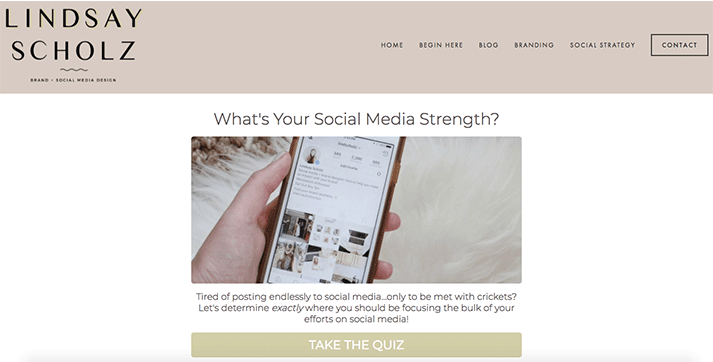 Quiz Title: What’s Your Social Media Strength? Use Case: Lindsay is a business coach who focuses on social media strategies. She has an announcement bar on her website promoting the quiz pictured below and it’s the primary lead magnet on her site, every page has a link to it in some way. When she made the switch to the quiz from her previous lead magnet (a free download), it instantly boosted opt-ins by 300% because a quiz has such a strong draw when compared to a freebie or download. Quiz Title: What Degree Program Is Right For You? Use Case: I have to highlight this quiz because of its longevity. Eastern International College has had it on their website as one of the main navigation links since 2014. It’s a testament to the power and evergreen nature of a good quiz in the right position. 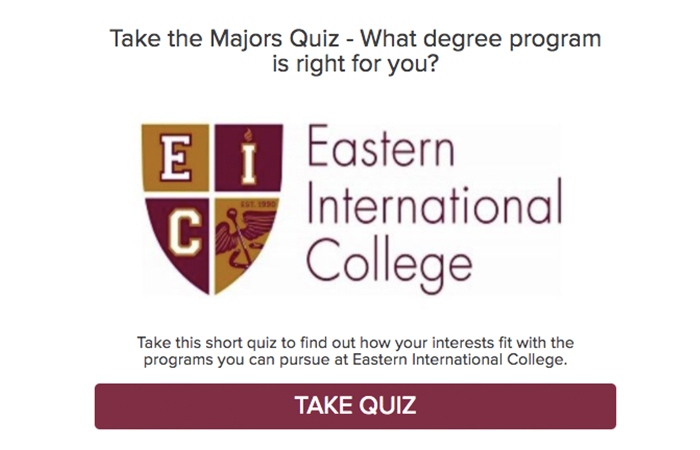 For EiCollege, there are new potential students every year who find this quiz captivating. This is not so different from any company selling a product really, the people who are interested initially will have never seen your brand before and therefore not been exposed to your quiz. 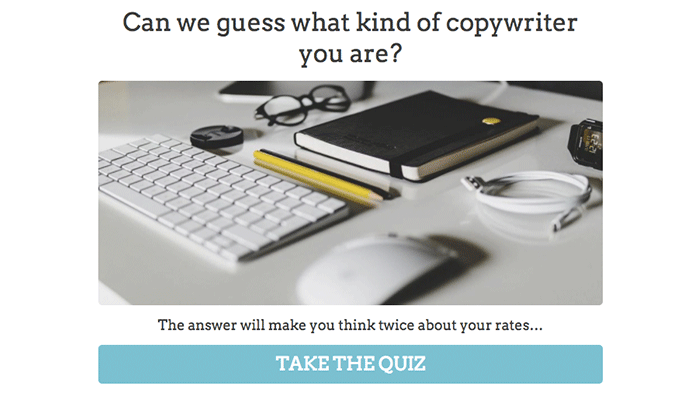 Quiz Title: Can We Guess What Kind of Copywriter You Are? Use Case: Joanna Wiebe and the Copyhackers brand are eponymous with success in the world of copywriting. They are the go-to for any sort of sound advice when it comes to web content. That’s why we were super excited when they started using interact and even did a full article on creating quizzes to back it up. I especially like this quiz example because it proves a point that we try to make all the time. The point is that your quiz title and idea doesn’t have to be something crazy. Copyhackers went with a variation of the “Which (Blank) Are You?” title by flipping it around and turning it into a “Can We Guess Your (Blank)?” But then then magic comes in the way they write their quiz questions and results to make them unique to the brand. You don’t have to re-do everything when you create a quiz, rather you want to focus on doing a few things very well, especially if those things are your area of expertise. Use Case: Skillcrush is a leading provider of online courses for learning technology, and they use a quiz to get people into their world so they can convert them into buyers of their courses. 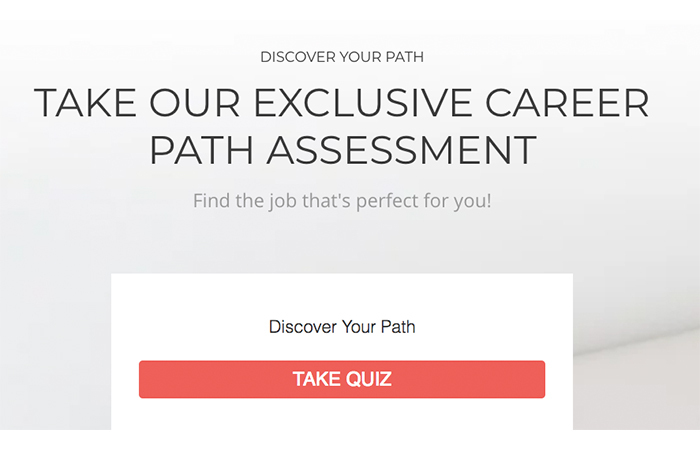 Even better, because they have a variety of course offerings, they use a quiz to find out what your “Best Path” is and then offer just the right course to you based on your recommended path. They also segment their email database according to which path gets recommended by the course and they send personalized follow-up emails to each of the paths. 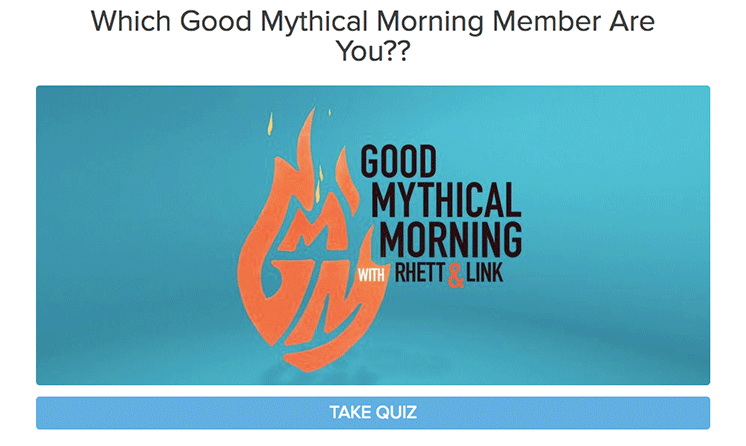 Quiz Title: Which Good Mythical Morning Member Are You?? 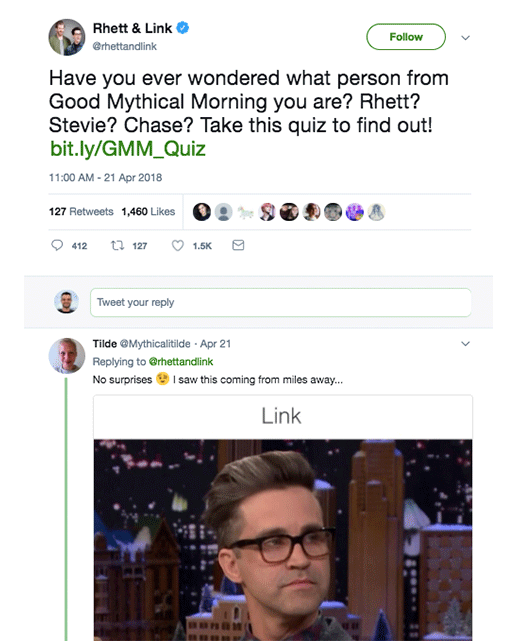 Use Case: If you’ve ever gone on YouTube you probably know who Rhett & Link are. They’re one of the original super famous YouTube duos and they used a quiz to help you find out which one of them you are most like. This concept is perfect for any TV or YouTube show with multiple characters or hosts. The quiz was very popular on Twitter and got some hilarious reactions like this one. Quiz Title: Which “The Real” Host Are You? 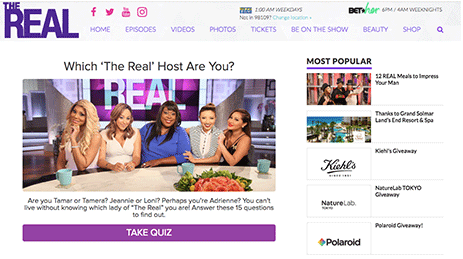 Use Case: “The Real” Has the perfect setup for a personality quiz because they have 5 concurrent hosts. This type of quiz works with any TV show or talk show that has multiple hosts. Because The Real is a daily show as well, they were able to work the quiz into one of their segments. 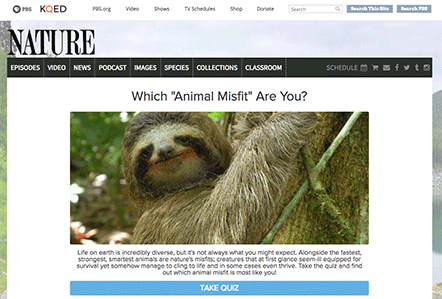 Use Case: As part of a show on endangered species, PBS put out this super fun quiz featuring a sloth on the cover and it was a hit. They took the “Which (Blank) Are You?” quiz concept and nailed it by putting animals into the equation, and who can say no to that face? 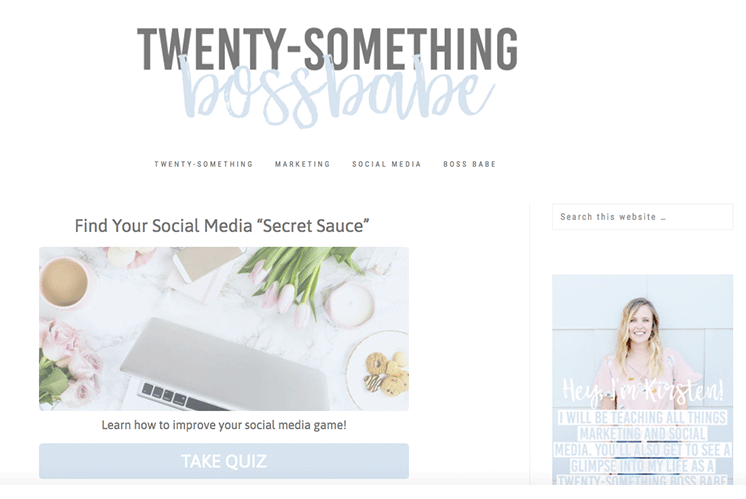 Quiz Title: What’s Your Secret Sauce? 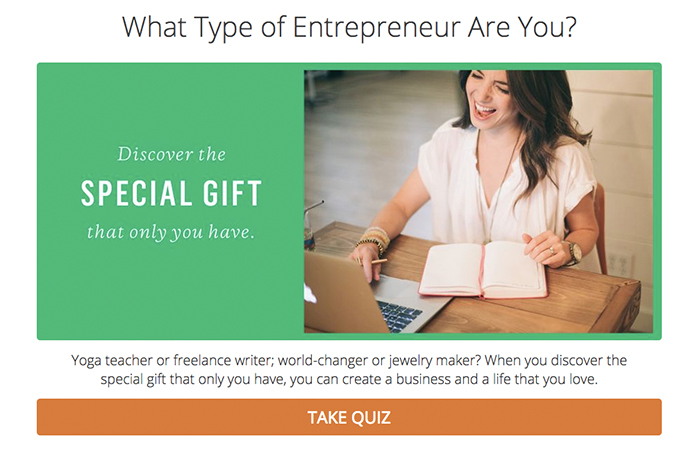 Quiz Title: What Type of Entrepreneur Are You? 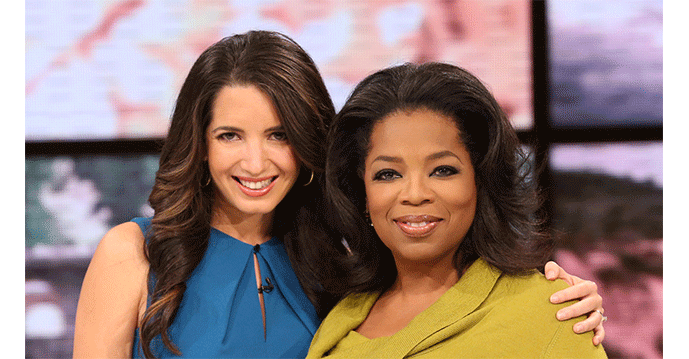 Use Case: Marie Forleo is the next Tony Robbins (see picture of her with Oprah below). She has created an entire online business school and uses the quiz below as one of the methods for getting people interested in it. This “What Type of Entrepreneur Are You?” quiz runs on Facebook to an audience of people similar to the ones already enrolled in her school and attracts a huge number of people because anyone interested in starting their own company is curious as to what type of entrepreneur they’d be. Quiz Title: What’s Your Money Personality? Use Case: People care a lot about their money, and when you make a quiz that tells them what kind of money personality they have you’re sure to win out. That’s exactly what The Simple Dollar, one of the leading personal finance websites, did with their money personality quiz. It’s a textbook quiz in the format of “What’s Your (Blank)?” and when you combine that classic title with money it’s irresistible. Quiz Title: Where Should I Be Focusing On My Finances Right Now? Use Case: The Holistic Wallet is a website with advice and content built around different financial difficulties. They use a quiz to help identify which hardship or area of focus is most important for each website visitor, and then they offer up specific content to you based on your area of need. They also segment their email list based on your area of focus so they can send relevant emails after the fact. Quiz Title: What’s Your Fitness Personality? Use Case: There are entire companies built around the idea of helping you find your fitness personality, and with interact you can create a quiz that helps people find theirs in just a few minutes. 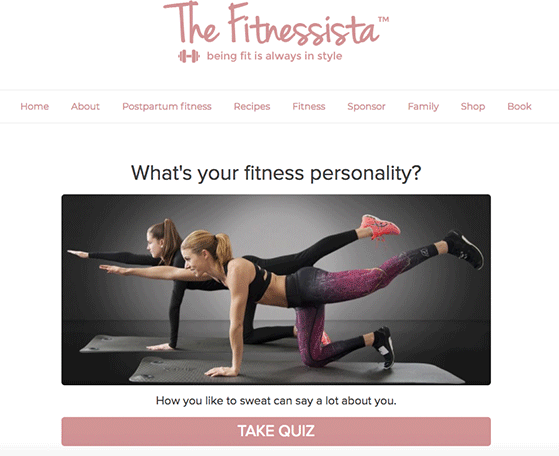 The Fitnessista created this quiz that helps people find their fitness personality, and then recommends resources specific to each personality and also segments the Fitnessista email list based on which personality someone gets. Quiz Title: What’s Your Spirit Burger? Use Case: HelloFresh is a meal delivery service and sometimes they deliver burgers. This quiz helps you find your spirit burger and then offers to send you a meal delivery kit for it – pure genius. They also ask for an email address before revealing the quiz results (it’s optional if people want to skip it). 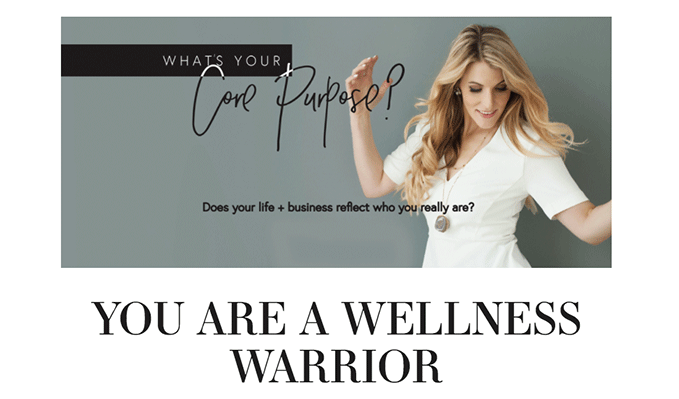 Quiz Title: What’s Your Wellness Style? Use Case: Lauren is a Health & Wellness coach who has a variety of classes and offerings. 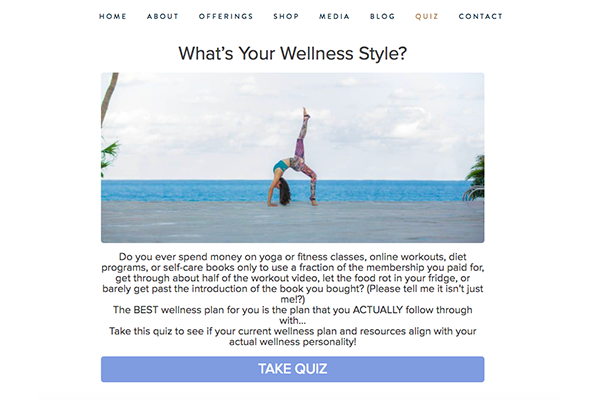 She uses this quiz to help you discover your wellness style so she can then link to the right classes and courses for you based on your particular style. Quiz Title: What’s Your Decorating Style? Use Case: In interior design your decorating style is the foundation upon which many other things are built. 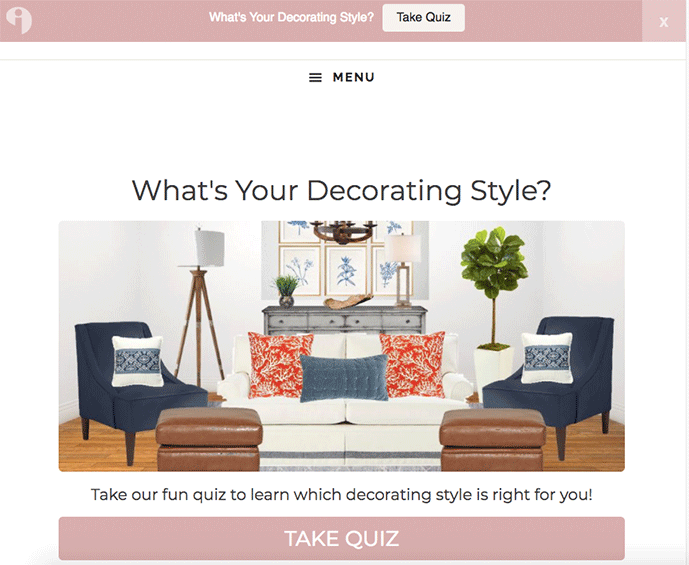 Lucy from Lucy Jo Home knows this and created this awesome quiz to help you find your decorating style. It’s embedded on her website and promoted using an announcement bar as well as through Facebook. Quiz Title: What’s Your Interior Design Style? 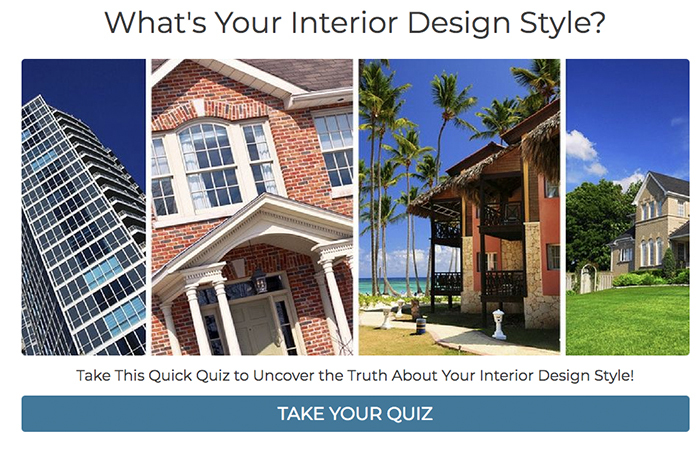 Use Case: This interior design quiz gets straight to the point, asking you what your interior design style is as found by taking the quiz. This quiz is embedded onto Melissa’s site and used as the main lead magnet. Once she knows what someone’s style is, it makes for a much smoother onboarding call for potential clients since they have a natural starting point to the conversation (the style). Quiz Title: Can We Guess Your Jewelry Style? Quiz Title: What Kind Of Coaching Are You Looking For? 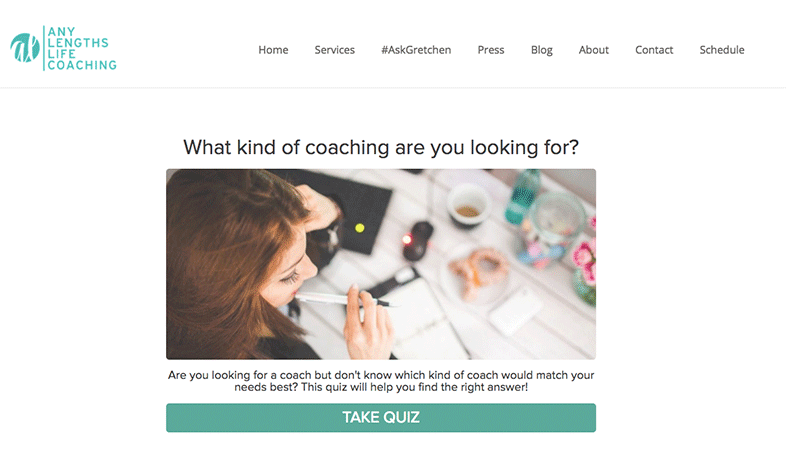 Use Case: This quiz is used by the life coaching site Any Lengths Life Coaching to help potential clients discover the right kind of coaching to fit their current needs. For an industry like life coaching, all the options can be overwhelming so having a quiz like this to guide people through the process is really important to bringing on new clients. Anyone who takes the quiz has an opportunity to opt-in for email updates from the site as well which provides a further opportunity to make sales down the line. 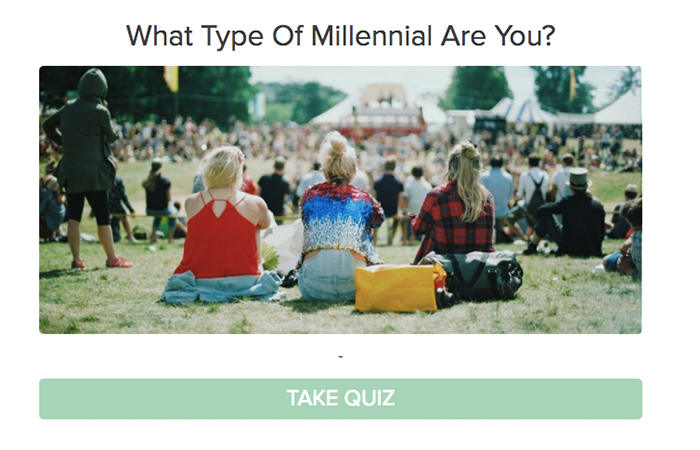 Quiz Title: What Type of Millennial Are You? Use Case: You want to know the best way to reach your target audience? Make a quiz called “What Type of (My Target Audience) Are You?” this strategy will not only attract people to take your quiz, but it will ONLY attract the people you want to be on your email list. This is exactly what The Confused Millennial Website did, and they are absolutely blowing up their email list with it. Quiz Title: What Brings You Happiness? Use Case: “What Brings You Happiness?” what a good question – and one that certainly has a huge appeal through sites like Facebook and Twitter. 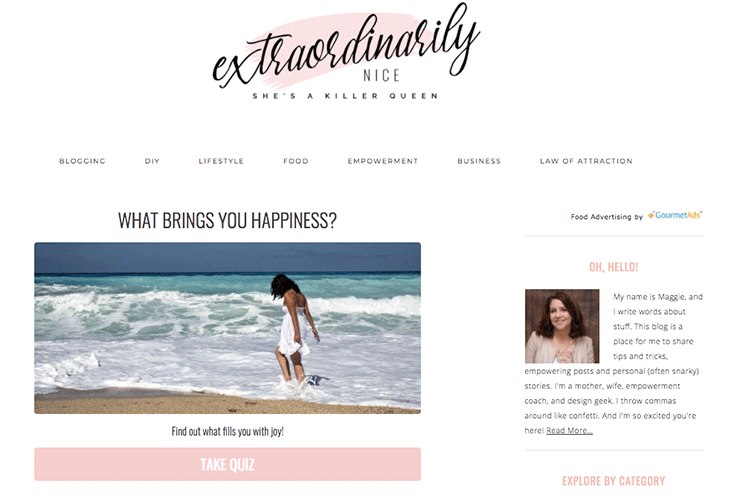 This one from Extraordinarily Nice is designed to draw people in from Facebook and through a link on the website and grow the email list of the site. It works very well and drives tons of signups. 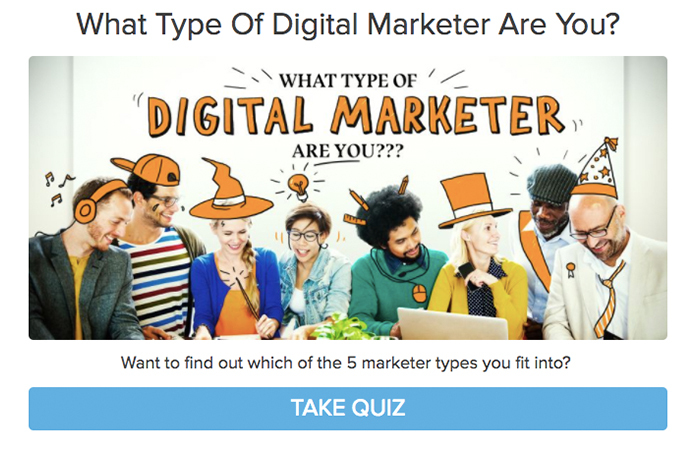 Quiz Title: What Type of Digital Marketer Are You? Use Case: If you’re in marketing, you know Jeff Bullas. He’s a juggernaut of a marketer and is using a quiz on his website as a lead magnet. There is a link to the quiz in the sidebar of every page on his website and it drives consistent leads into his email marketing database who then receive his other blog posts and offers. Use Case: Forbes has been running this quiz since 2013 and if you search for “College Quiz” it’s the first thing that comes up, which is quite extraordinary considering that there are entire companies built around helping you find the right college. The quiz uses personality logic to help potential students find the right type of college for themselves, and then it links out to another tool that Forbes built which narrows down the list to a top list of schools based on each person’s personality type. Quiz Title: Who’s Your Animal Soulmate? 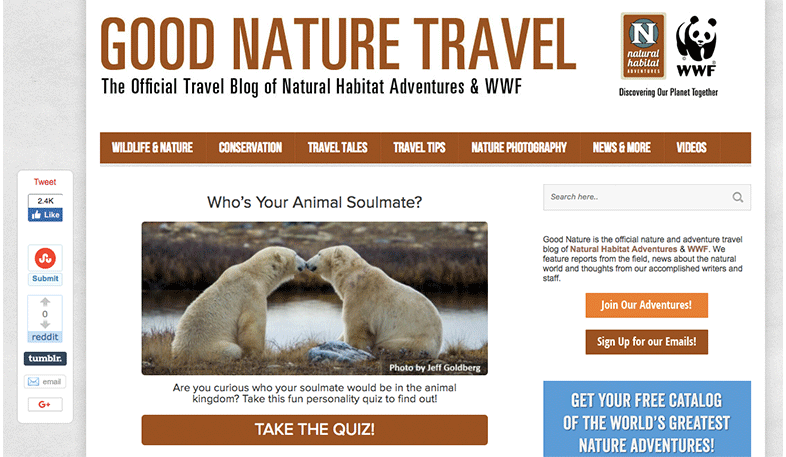 Use Case: Launched just before Valentine’s day 2014, this quiz has been one of my favorite pieces from The World Wildlife fund for a long time running. The quiz helps you find your animal soulmate, gets you on the World Wildlife Fund email list, and has a call to action to donate in order to help preserve your spirit animal (all the results are endangered species). 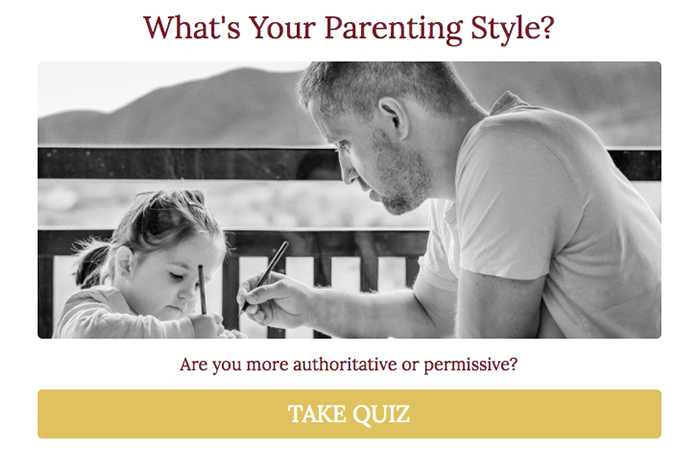 Quiz Title: What’s Your Parenting Style? Use Case: This particular quiz use case has gone viral more times than I can count. We have it as a template in interact and it’s been cloned thousands of times and been taken over a million times. The way it’s used on Fab Working Mom Life is as a straightforward list-building tool, it feeds straight into the newsletter email list of the website and helps get exposure to new readers. 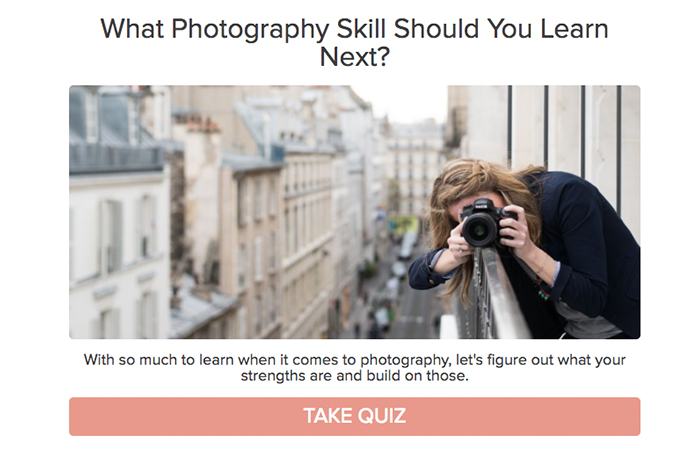 Quiz Title: What Photography Skill Should You Learn Next? Use Case: In photography there is always something new to learn, it can all be very overwhelming, and for a site that provides photography instructions, overwhelming is very bad because readers will leave before investing any time. This quiz helps demystify the next steps and guide people to the best next skill to learn. It also gets people onto the site’s email list so they can continue to receive instruction on photography into the future. Quiz Title: What Does Your Personality Type Say About Your Productivity? Use Case: What’s Your Productivity Personality? is a super old quiz concept, but it just keeps working (as you can see by the screenshot below, this one has 466 social shares). Being productive is serious business, wasting time is expensive and exhausting, so a quiz like this is actually super important. It is also a great list builder. 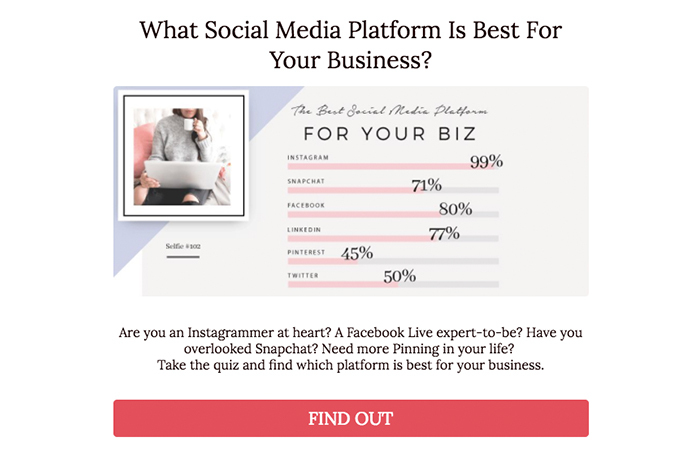 Quiz Title: Which Social Media Platform Is Best For Your Business? Use Case: In the world of social media marketing, businesses coming online for the first time often try to do everything at once and fail at all of the options. This quiz helps potential clients find the right social network to start with to they don’t try and bite off more than they can chew. It’s also a perfect way for the host site, Creative & Coffee, to offer up specific advice on how to effectively use each social network both immediately in the quiz results and later on by email. Use Case: With so much content on social media it’s hard to stand out. This quiz helps readers discover what they’re unique voice is and use it to make waves. It’s also a very strong list builder for the host site and a way to segment leads based on different criteria. Quiz Title: What Kind of Vacation Fits Your Travel Style? Use Case: There are so many types of vacations, and for a travel site like Afar.com they write about all sorts of different options. Quizzes like this one help people find the right type of content to read, and get them on the email list for Afar. 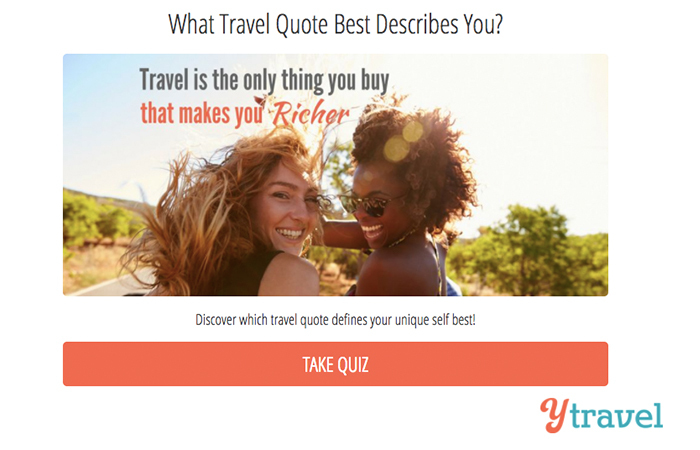 Quiz Title: What Travel Quote Best Describes You? 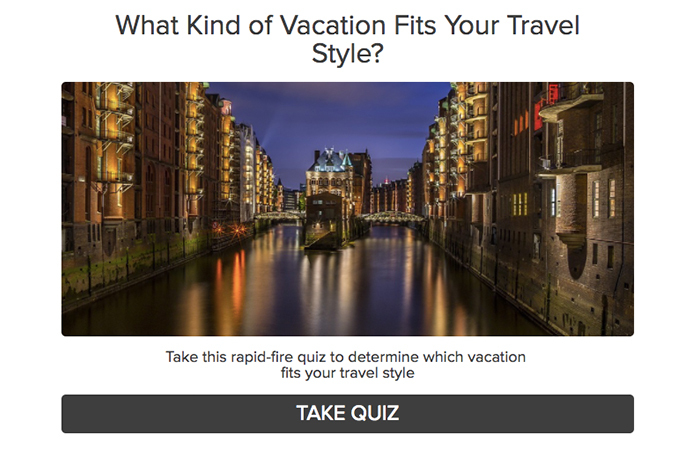 Use Case: Travel personality quizzes are so much fun, and when people are gearing up for a vacation this is the type of content they love. It’s an amazing way to establish a lasting relationship with readers and kick things off in a very memorable way. 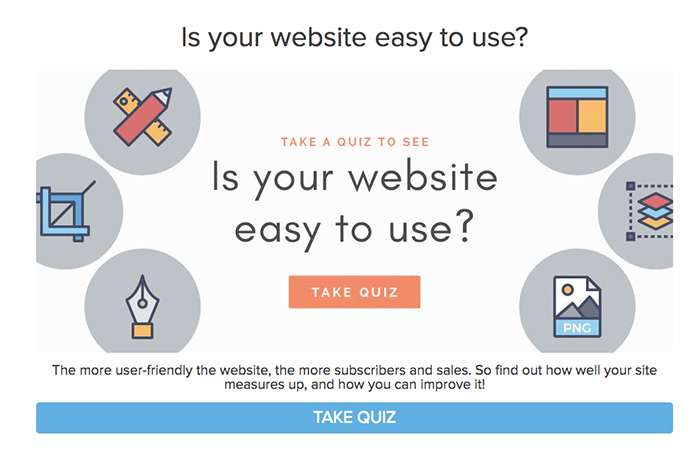 Quiz Title: Is Your Website Easy To Use? Use Case: I used to work in web design and people would ask this question all the time. We’re still very early in the days of businesses having websites (relatively), and they want to know if they’re doing it right. Let them know in return for getting their email address, that’s a fair trade. 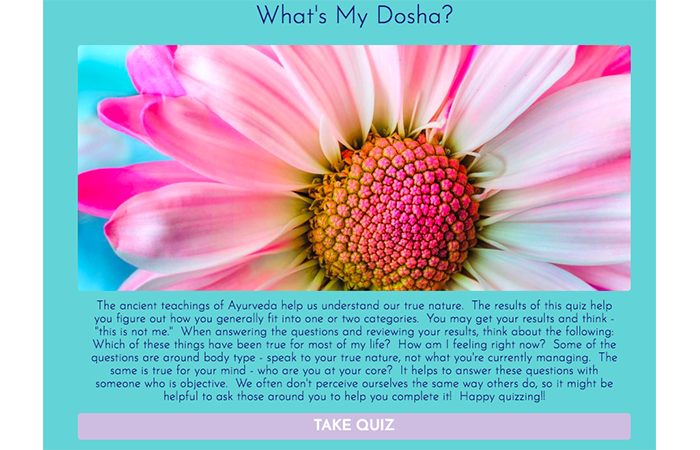 Quiz Title: What’s Your Dosha? Use Case: This quiz is used on liveyinsa.com as the main lead magnet, it appears as a popup and an announcement bar to take the quiz, which then converts people into subscribers.